In the pedigree of Viool's sire Goodtimes we find Nimmerdor and Caletto I, stallions who both have jumped at the highest international level and are first class breeding stallions. Also Wahnfried brought in his time many international jumpers. As a 3 year old stallion Goodtimes was champion of the stallion test. The offspring of Goodtimes jump nationally as well as internationally at the top level. 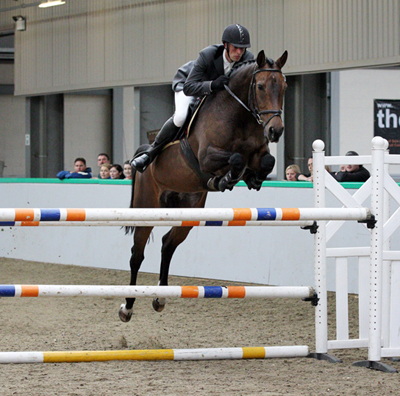 He sires horses for dressage, jumping and beautiful types. Galoubet was by the great sire Almé out of Viti a trotter mare. He was retired to stud at 10 y.o. and has since sired many top performers. Galoubet ranked third on the WBFSH standings for 2000/2001, largely on the basis of his son Baloubet du Rouet who won three World Cup Final's in a row (Helsinki 1998, Gothenburg 1999, Las Vegas 2000) as well as team bronze at 2000 Olympics in Sydney. 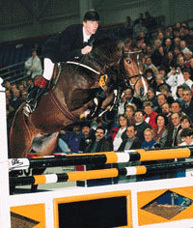 In 2002 Galoubet was the Grand Sire of World Champion - Liscalgot (Ire) at World Equestrian Games in Jerez, Spain through his son Touchdown. 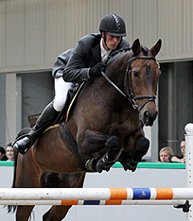 In 2004 his son Baloubet du Rouet won the Gold Medal at 2004 Olympics in Athens Also 'Galoubet A has another well known son, Touchdown, dam Lady Willpower. 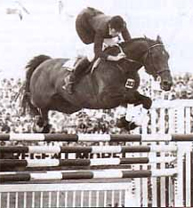 In 1992, Touchdown was the highest placed Irish show jumper at the Barcelona Olympics.